WCVM researcher Dr. James Carmalt has developed a surgical technique that may eventually become a PPID treatment option. Photo by Christina Weese. 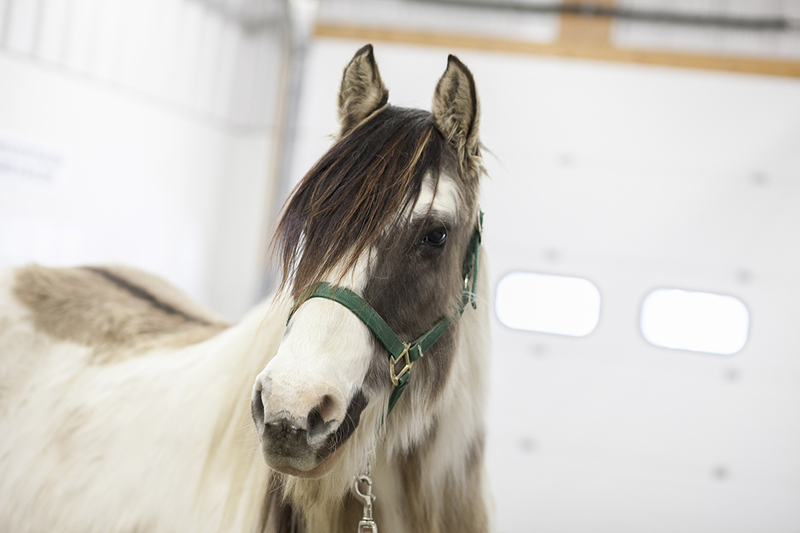 A Western College of Veterinary Medicine (WCVM) researcher is working to develop a surgical technique that could, one day, provide a long-lasting fix for pituitary pars intermedia dysfunction (PPID) in horses. PPID, also historically known as Cushing’s disease, occurs when a part of the pituitary gland called the pars intermedia becomes enlarged and secretes excessive levels of adrenocorticotrophic hormone. The body reacts to this excess by exhibiting a variety of clinical signs, including a long, persistent hair coat, increased sweating and muscle wasting. Although considered a disease of older horses, PPID can develop in those as young as 15. A medication, pergolide, is effective at controlling PPID, but must be given daily for the duration of the horse’s life. “The cost of this daily pill adds up, and the time, effort and stress of medicating this horse, when objectively viewed, is also not substantial, says Dr. James Carmalt, a professor of large animal surgery at the Western College of Veterinary Medicine (WCVM). Looking for an alternative, Carmalt has been experimenting with surgical techniques that remove or disable the diseased tissue in the pituitary gland. Although this is a novel concept in equine medicine, similar surgeries have long been used to control Cushing’s disease in people and dogs. To read more, check out the story on the Townsend Equine Health Research Fund website (reprinted with permission from EQUUS).